SKU: CWM Category: Speaker Kits Brands: Bagby. The Continuum woofer module using the CSS, SDX10 by Jeff Bagby. If you’ve been reluctant to add a subwoofer and hoped for a traditional 3-way based Continuum system, Jeff has the answer. This woofer add-on was voiced for the Continuum, and it should integrate well with most any 5.25″ based satellite SPL in the 83-84dB range. The Viva Voce, Piccolo, and of course the Continuum II are all great candidates. The SDX10 is a true subwoofer. 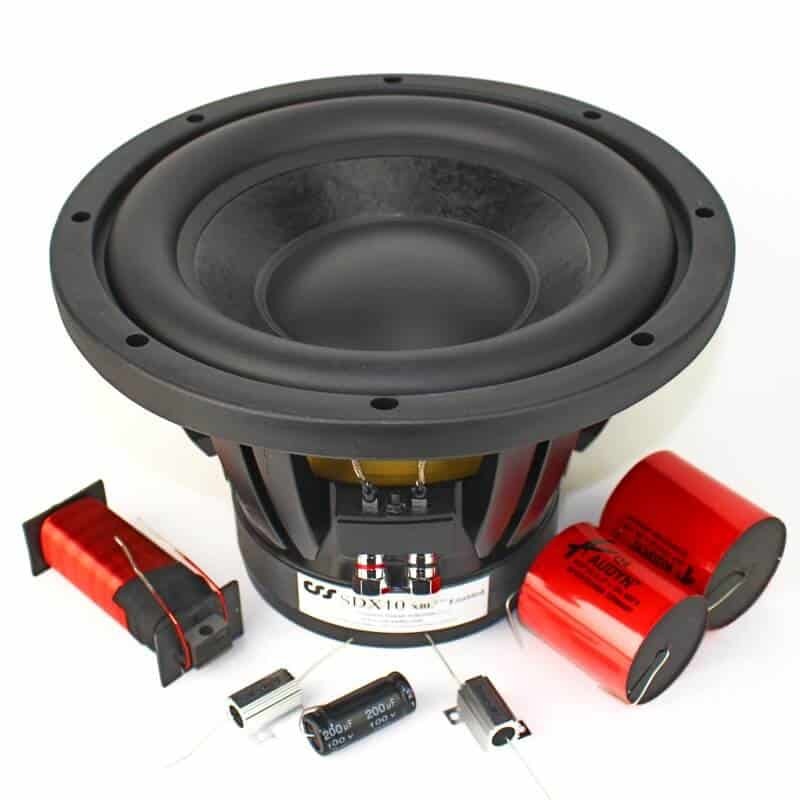 Subwoofers are not usually considered in a 3-way design, but Jeff found the upper-frequency response and SPL ideal as a mate for the Continuum. Optional – The system can be built as a sealed box (acoustic suspension) or vented (bass reflex). Please read the write-up at the link below. It might help you decide. We are also happy to assemble the crossovers for you if you haven’t perfected your soldering skills.